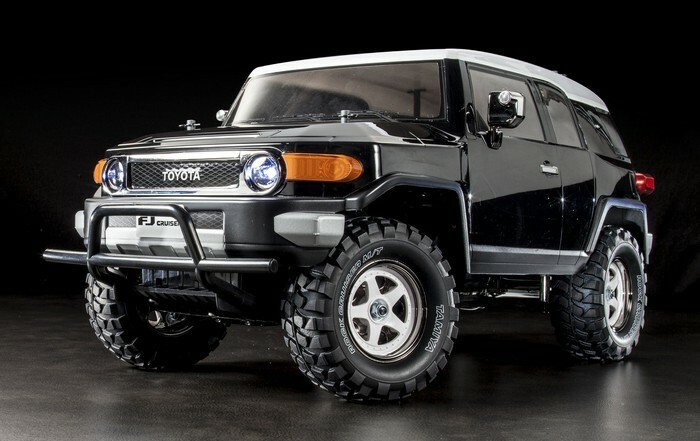 The Tamiya R/C replica faithfully captures all of the full size FJ's details down to the large headlights positioned near the center of the front of the car, chunky fenders, and a trio of windscreen wipers. The FJ body is mounted on the capable CC-01 Cross Country chassis, which features independent front suspension and a rear 4-link rigid suspension set up for fun scale trail running enjoyment. This Limited Edition special release includes a pre-painted body, making it easier and quicker for the modeler to get his machine on the off-road trails.